Are you sending parcels, direct mailing, business mail or magazines to Sweden? 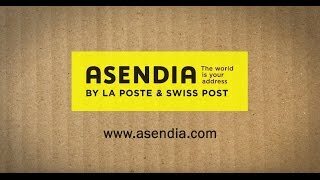 Asendia can support you with a variety of solutions for global mail and e-commerce. Versatile solutions to prepare your mailings for shipping. Lettershop services are also offered by Asendia in Germany, Singapore, UK and USA for worldwide shipments. Contact us to learn more. With our own office in Stockholm, Asendia offers you a local presence and market expertise, combined with a global network and international know-how.